The client’s old static HTML-based website (bottom image) was difficult to update and maintain. 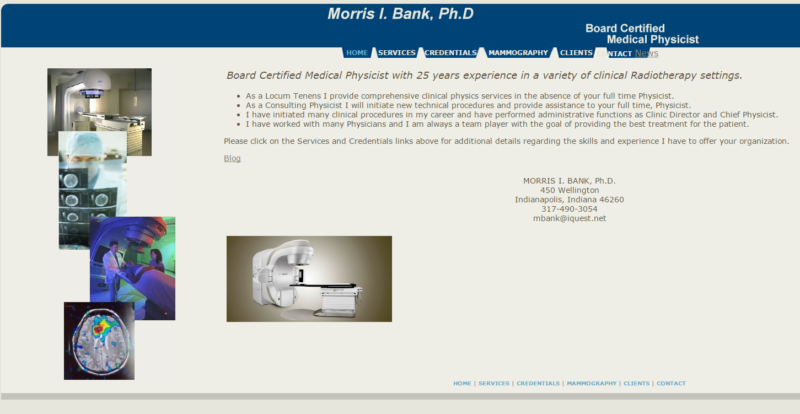 The client was interested in incorporating a blog. The site needed to be redesigned from scratch on a very low budget. The client stressed that he wanted to update the site by himself and needed an easy, not too tech-heavy interface. In addition, he needed regular security maintenance (theme and plugins) after the design was done. 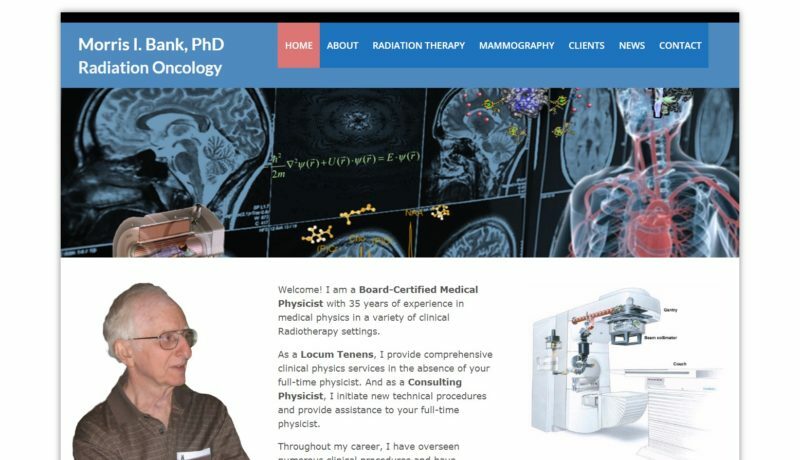 The client was reluctant to use images of himself at work, and he preferred to use only photos of the radiation/imaging machines he worked with. I discussed with Dr. Bank the importance of introducing himself to prospective clients on the homepage, by telling his unique story and by using an informal photo of him—which he preferred over an image of himself in a lab coat. We added new copy to the site and streamlined the navigation. I designed the site with a clean and modern feel, using the blue color scheme that my client had picked. In addition, I built the site on WordPress to ensure that it was secure and easy to update. As per my client’s request, we added a blog. The old site had very few low-resolution images, which were all replaced. In addition, the content and design was enhanced by SEO best practices, which had not been addressed on my client’s old site.